This is 5.56 Lake City M855 62gr. 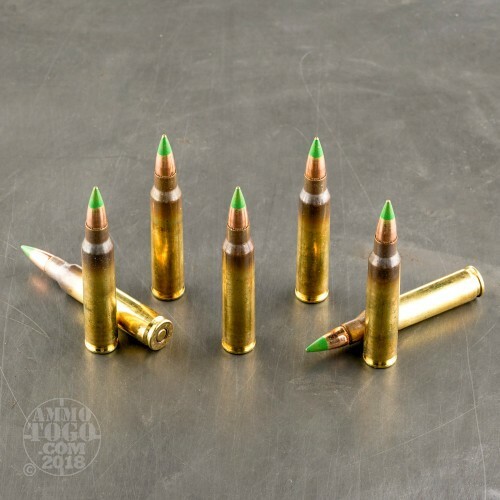 Green Tip Penetrator ammo.This is original Lake City manufactured ammo and comes packed loose. 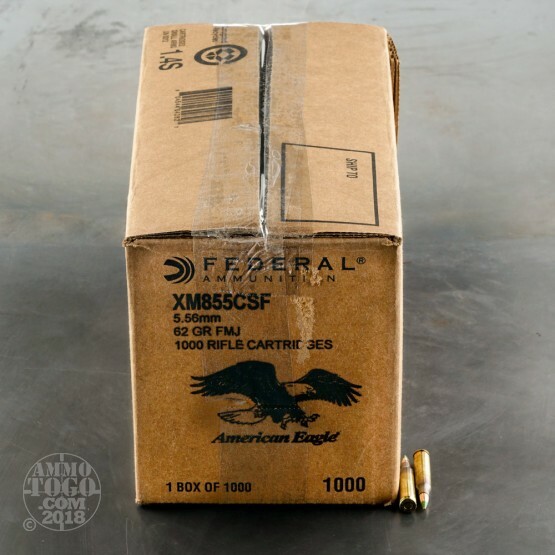 It is brass cased, boxer primed, non-corrosive and 100% factory new Lake City ammo. The Lake City Army Ammunition Plant loads all M855 ammunition for the US Military. While military specifications are more stringent than commercially acceptable specifications for ammo, this is loaded on the same SCAMP lines of manufacturing equipment and is loaded to the same tolerances. In addition to the LC headstamp, you will recognize Lake City ammunition by its annealing marks that are not polished off like many commercial loads. Perfect through My Sig and Diamondback, I'm not a sniper, use red dots and it tears um up. Just what You want for combat. posted on 5/23/18 by Colton B. Didn't read the full title of "penetrator-ammo" so when I opened the box and saw green tips, I was a little upset as I can't use these where I practice at because they cut through steel fairly quickly. Either way, I have shot off 30 rounds at paper to test, and all is well. I'll just add these to my stockpile of defense ammo and order the correct ammo I need. 5 Stars either way, Federal is a great brand. Second order. All rounds outstanding. 2018 headstamp! Buy with confidence! posted on 4/13/18 by David m.
Can't go wrong with this ammo. The shipping is fast. These guys are customer friendly. Just got mine today. 1 round not serviceable all else good. LC 18 headstamp! Probably could find a little cheaper but this is great stuff! Quick shipping and really like that you can have it put in another unmarked box. Package came on time. I have only used 120rds so far, all rounds fired good. I did find 5 rounds so far that had anywhere from 4 to 8 bad dents in the brass. Overall, This ammo was a great buy!. Thanks Scott. Love this ammo. It’s not all shiny and it’s not supposed to be. This is combat ammo and in my opinion, the best there is. Ran 300 through my scar16 w/ zero issues. This is the stuff I stockpile. Neat tip. If you crack open the box...lift the ammo out using the bag it’s in, then carefully settle it into a 50 cal ammo can, it fits absolutely perfectly. Seal it up and shelve it. Ordered 1,000 rounds. They arrived quickly. 969 of them were in pretty decent condition. Minor denting, blemishes, and missing paint on the tip were the norm. 22 of them were pretty badly damaged and have to be discarded. Nine were clearly so damaged that there was nothing left! Haven't shot any yet, but 96.9% is the highest success rate I can get at this time due to the damaged rounds. Going to open up a previous order of 500 to see how it compares. This batch was almost entirely stamped NATO and 14, but there were a couple 2013 rounds in there. They seemed much more likely to be damaged than the '14 rounds. I just got in my first 1000 rounds of 5.56 bought from this website. 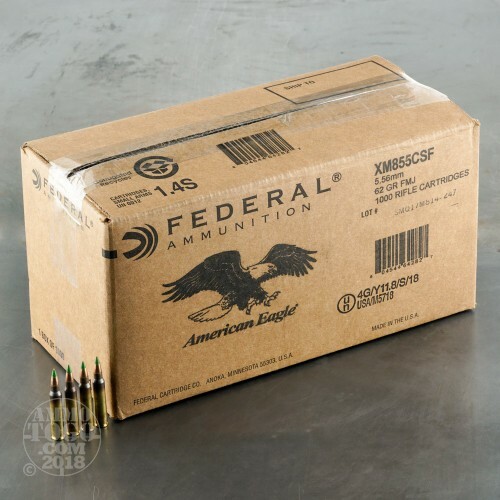 To the previous reviewers, take this from someone who has been in the Army for 11 years, the condition of the bullets is exactly what you will see in a brand new box of military ammunition used by our military. If you're looking for pretty than this is not what you want. If you're looking for an extremely reliable bullet than has been battle used and proven by our servicemen for years, this is exactly what you're looking for!!!!!!!!! I received 500 rounds of the current lot (LC 11 & LC 12) several months ago. Two rounds were rejected due to dents. That's it for the bad news. These were typical military finish. That is unpolished with annealing stain. No fail to fire in +200 rounds through Bushmaster DCM and XM 15 rifles. Accuracy was okay for play and practice. Reload the good brass and cut your groups in half. I have reordered 500 more. I'd do a bigger order but can't do that much in one bite. Bought 1200 of these. Four were physically damaged beyond what I would put in my weapon. 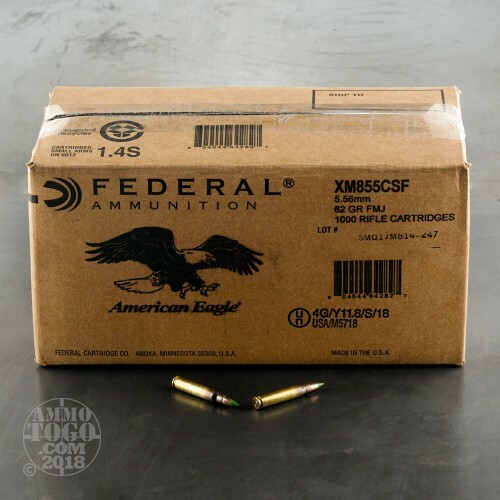 They appear to be reloads, however, this website lists them as original manufactured ammo. Put 250 through AR today. All rounds that were chambered fired just fine. Other than a few damaged rounds I would say this is some decent ammunition.